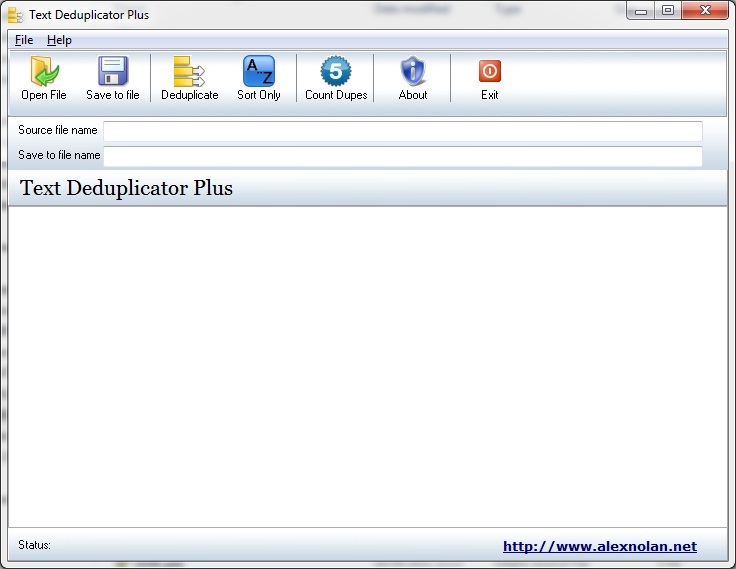 Text Deduplicator Plus is a utility for de-duplicating lines in a text file list. This utility is especially useful for de-duplicating list of information to make them unique before importing into a database as lookup tables. As a by-product of de-duplication list are also sorted into alphabetical order. If you wish to just sort a list without de-duplicating click the sort only button. If you wish to total up the number of each item in a list click count dupes. This will produce a totals list of the items in the list. De-duplication of lines with a text file. Sort lines into alphabetical order.